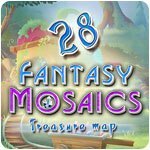 Fantasy Mosaics 28: Treasure Map Game - Download and Play Free Version! Penguin Penny discovered a treasure map in the attic of the penguin house. Now the penguin family is off on a new exciting adventure to find the treasure! 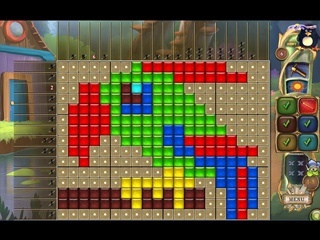 Join the penguins and help them solve a new collection of colorful mosaic puzzles. 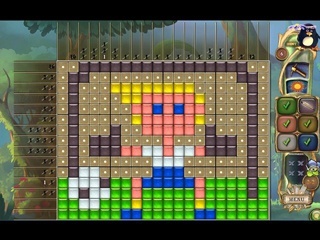 Enjoy the new gameplay twist that features secret colors!